some suggestions on how to make a picky eater eat. and snack time easy and fun for your little ones. Give them a try today. As your children grow older and start to eat a variety of food, they often times turn into picker eaters. It isn’t unusual for mealtime to turn into a fight with a young children because they don’t want to eat the the food you so lovingly prepared for them. 1. Get the whole family involved - Everyone is so busy these days; you can rarely find a day when everyone is home at the same time. This makes it hard to get everyone to sit down at the dining table and enjoy dinner together. Challenge yourself to start eating dinner together at least three days each week. When your child sees his siblings, or parents, eating their veggies and meat, they will be more likely to try these foods on their plate as well. 2. 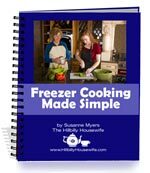 No more alternatives – Sometimes it seems easier to just go ahead and fix a different meal for your picky eater that you know he will actually eat. Some mothers with two or three children fix something special for each child. Stop the short cook ordering in your family. Cook one healthy meal for everyone in the family to enjoy. Your picky eater will fight with you at first, but eventually will realize that you will no longer cook him his own little dish. Being a picky eater can in part be a way for your child to explore how much control and power he has over you as well as a way to get extra attention. Find other outlets for this such as letting him pick which pajamas he’d like to wear or getting in some extra cuddle and reading time at night. 3. Introduce one new food at a time – Don’t try to overload your toddler’s palate with too many new foods at once. Present your toddler with one new veggie or fruit for a week. He may not even want to try it for several days. Stick If you offer him too many new foods at once, he may feel overwhelmed and not attempt to try anything new at all. Ready for some fun foods for kids? Kid-approved meals make breakfast, lunch and snack time easy and fun for your little ones. Give them a try today.